HOBOKEN, NJ--(Marketwired - February 02, 2017) - Two nationwide groups came together during the month of January to help support a message of Unity and a Healthy Spirit for Veterans, their families, and friends. CKO Kickboxing, a widely popular kickboxing gym with locations all over the United States, presented the CKO Passport Series to Team Red White & Blue, a national Veteran Organization. Throughout the month, multiple RWB Chapters met at different CKO Kickboxing locations in New York, New Jersey, and Pennsylvania to experience the one-of-a-kind CKO Workout with other CKO Members. Each location brought their unique gym personality to the workout while Team RWB punched, kicked, and powered through the classes. "These people are amazing to be around," stated Bryan Caballero, Owner of CKO Warwick, member of Team RWB, and Liaison to the CKO Passport Series, "Team RWB is a community of people who have been through so much and support one another. CKO has that same way of thinking. It was just common sense to bring these two communities together." On January 29th, CKO Kickboxing hosted the last class of their Passport Series at their main location in Hoboken, NJ. Members of multiple Team RWB Chapters came to represent and the 10,000 square foot facility that makes up CKO Hoboken quickly filled with heroes who were determined to make it through the class as a unified front. Following the class, participants stayed for a social hour to have some snacks, meet new friends, and take pictures. 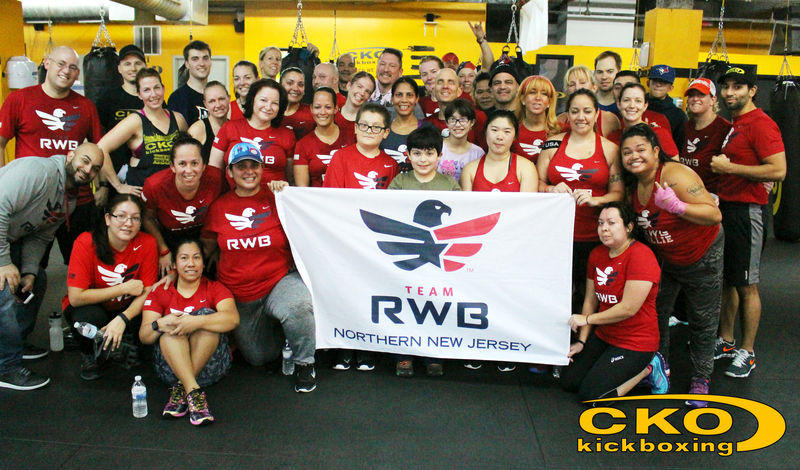 "We believe in Team RWB," said Joseph Andreula, CEO and creator of CKO Kickboxing. "They care about their communities and are always willing to help one another so when Bryan brought this idea to us, we were more than happy to get it going. These events were an effort to show support for our Veterans, as we always have, and going forward, we will gladly continue joining forces with Team RWB to spread that community spirit together." Talks are already underway to expand the CKO Passport Series and other community out-reach programs to more Team RWB Chapters across the nation.